Yes, he is still pointing the finger at Democrats, but at least he's also admitting the truth: That his administration's goal in breaking up families, and in creating all of this attention, was to gain leverage for the GOP. Trump probably didn't mean to show quite as much of his hand as he did, but there it is in black and white. And, truth be told, this is what Trump-style negotiation has always looked like. Although most negotiation experts suggest making your adversary into a partner, and looking for ways to achieve mutual satisfaction, Trump has invariably preferred to flex his muscles and to use whatever resources were at his disposal to beat his opponents into submission. He has a long history of having no concern about behaving in a manner that is not only selfish, but unethical and/or immoral. His current crackdown on undocumented immigrants is not especially different, from where he sits, from the shenanigans he pulled in building and bankrupting his Atlantic City casinos, or seizing land from little old ladies to build a parking lot, or screwing the vendors who supplied him out of payment. All of it is "the strong" using "the weak" in whatever way they wish, because the ends always justify the means. All of this follows a week chock-full of bad optics for Trump. It is clear that Trump cares little for human suffering, at least among non-whites. He's shown that with not only his immigration policy, but also his nonchalance about Puerto Rico, his disdain for the United Nations and its relief missions, and so forth. But he does care about maintaining his hold on power, and the backlash has not been good for him on that front. Religious leaders are blasting him, GOP pooh-bahs are scared witless this could cost them big-time at the ballot box, and even Fox News is wondering if Trump has chosen the right course. In theory, Office of Management and Budget Director Mick Mulvaney's six-month interim appointment as the head of the Consumer Financial Protection Bureau (CFPB) is supposed to end this week. That means that Donald Trump needs to find someone to fill the post on a permanent basis, and quickly. However, the supply of qualified folks willing to be a part of this administration has grown very tiny, indeed. So, it's not much of a surprise that Trump is promoting from within, tapping Kathy Kraninger—a policial unknown who currently serves as one of Mulvaney's lieutenants in the OMB. Those who have read Upton Sinclair's The Jungle know that, in true muckraking style, it is wildly over the top in terms of melodrama. In every single chapter, some new and devastating tragedy befalls poor Jurgis and Ona Rudkus. If one did not already know that the book is a work of fiction, that fact would be clear upon reading, because there is no way that the same couple could get caught up in that many shocking and horrifying situations. One of these days, someone will write a book about the tenure of Scott Pruitt at the head of the Environmental "Protection" Agency. And if folks read that book 100 years from now, they are going to have a hard time believing it's true, because surely no one politician could find so many different ways to be venal. And yet, in contrast to that of Jurgis and Ona, the tale of Scott Pruitt is 100% true. This week's chapter centers on Pruitt's wife, Marlyn. She was apparently looking for a way to make money, perhaps so the Administrator can afford a better brand of used Trump mattresses. Although Scott has been more than happy to set his cronies up with plum gigs at the EPA, he apparently couldn't swing that for Marlyn, presumably because of federal anti-nepotism rules. So, as we learned this week, he assigned an aide to find out if ultra-conservative Chick-fil-A CEO Dan Cathy would be interested in selling Marlyn a franchise at a well-below-market price. Cathy apparently was not interested, because the Administrator's wife eventually found work at a right-wing lobbying group, one that just so happens to have business before the EPA. After months and months of such revelations, Pruitt might actually be in hot water now. As we have noted, much of the right-wing commentariat has turned against him, thinking (rightly) that anything he does as administrator will be tainted by his reputation. However, the fatal blow may not be due to ethics, but to ethanol, as Pruitt has been using his influence to reduce the amount of ethanol that is being purchased. In brief, federal law requires that the gasoline sold in the U.S. contain a certain percentage of ethanol derived from corn. However, EPA regulations allow the Administrator to grant waivers to the requirement, and since Pruitt likes Big Oil more than he likes Big Corn, he's been handing them out by the bushel. After about a decade when he was largely out of the spotlight, Donald Trump's lawyer Rudy Giuliani is very much enjoying his last hurrah, and is willing to appear anywhere and say just about anything to get some more headlines. For example, he declared on Saturday that it's time to bring an end to the "possibility of a ridiculous impeachment" of Donald Trump. Giuliani was advocating for the election of Republicans to Congress, but the clear implication is that nothing Trump does, or is revealed to have done, could ever possibly justify taking action against him. This despite the fact that Giuliani has little knowledge of exactly what evidence special counsel Robert Mueller has collected. Similarly, Giuliani has also made a bunch of other silly declarations this week, and last. Despite not having spoken to the First Lady, he said that she believes the President did not cheat on her. While not directly contradicting the former mayor, the First Lady's office also said he does not speak for Melania Trump, and that he should zip it. Giuliani also expressed "confusion" this week about why it was necessary to send Paul Manafort to jail for something as minor as witness tampering. We put 'confusion' in quotes, because as a long time prosecutor, he's not confused at all—he knows why that's a one-way ticket to having one's bail revoked. Giuliani also presumed to speak on behalf of former Trump lawyer/fixer Michael Cohen, announcing that Cohen is not going to cooperate with any investigation and that he's not going to flip on the President. Since Cohen himself does not know these things for a certainty, Giuliani certainly doesn't. Indeed, Giuliani likely isn't even in contact with Cohen, and if he is, that might be—ironically enough—witness tampering. And then, there's the not-so-legitimate media. Breitbart News was doing pro-Trump propaganda before pro-Trump propaganda was hip. However, the site is now having a lot of trouble, as readership has dropped for the seventh straight month. They are now at the same level as in January 2015, aka "right before Donald Trump began his political career." The obvious explanation here is that the decline has something to do with Steve Bannon, and the loss of his skill at driving readers to the site. There may be something to that, but it's unlikely that is the main problem. No single person can affect an outlet's success that much, particularly when that person is behind the scenes (as opposed to a marquee figure like Bill O'Reilly or Rachel Maddow). An alternative possibility is that Breitbart is being beaten at its own game by sites that are willing to be even more conspiratorial and/or outrageous, like InfoWars. Still another possibility is that the site is experiencing a particularly aggressive version of the ebb and flow that affects all politically-themed sites, as people check out during the "off season." The son of Sen. Bernie Sanders' (I-VT), Levi Sanders, is one of 11 Democrats trying for the chance to succeed Rep. Carol Shea-Porter (D-NH). Levi has struggled to gain much traction in the race and on Saturday, he got some more bad news: He won't have the endorsement of his old man. California is, and for 170 years has been, a very large state. So large that people have often talked about chopping it up into several, smaller states. Pop quiz: How many times, roughly speaking, has that happened? 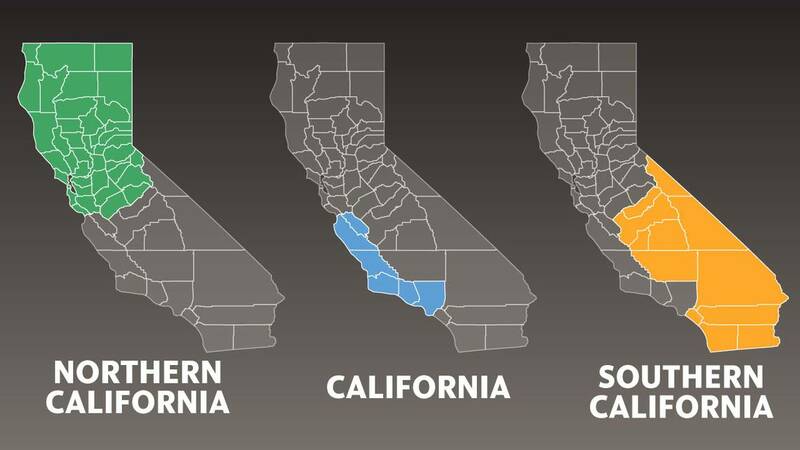 The major city in "Northern California" would be San Francisco, in "California" would be Los Angeles, and in "Southern California" would be San Diego. While it's interesting to speculate about the possibility, there is no chance that this is actually going to happen, for at least three reasons. The first is that the voters of California are very unlikely to approve it. Whatever problems this is supposed to solve—and Draper's been rather vague on that point, mumbling obliquely about the state's "failing schools"—it would create a bunch more. The most obvious might be water. "California" would have the largest number of people, but also has almost none of the state's water. Voters there are not going to set themselves up to suddenly start paying an arm and a leg for H2O to their former fellow citizens to the south and north. There are also all manner of other costs and logistical difficulties, big and small, that will also serve to give voters pause. If California does somehow pass the initiative—it's currently polling at 17%—then the second problem will be all the lawsuits. There is no particular legal or statutory authority for a state's residents to summarily declare themselves to be three states. Californians who oppose the plan would sue on the basis, and the federal government would likely join in as well, fearing the possibility of other states trying to divide themselves. Northwest and Northeast Dakota? West and Even Further West Virginia? New York and Newer York? Florida and Mar-a-Lago? Where would it end? 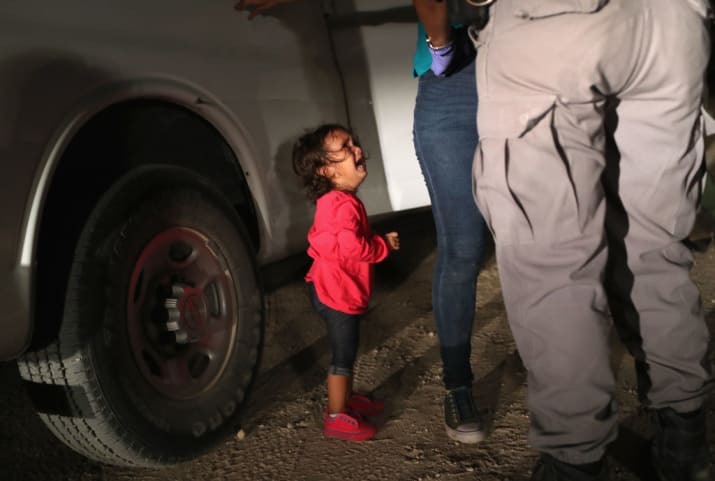 Jun16 What's Going on with Immigration, for Christ's Sake?